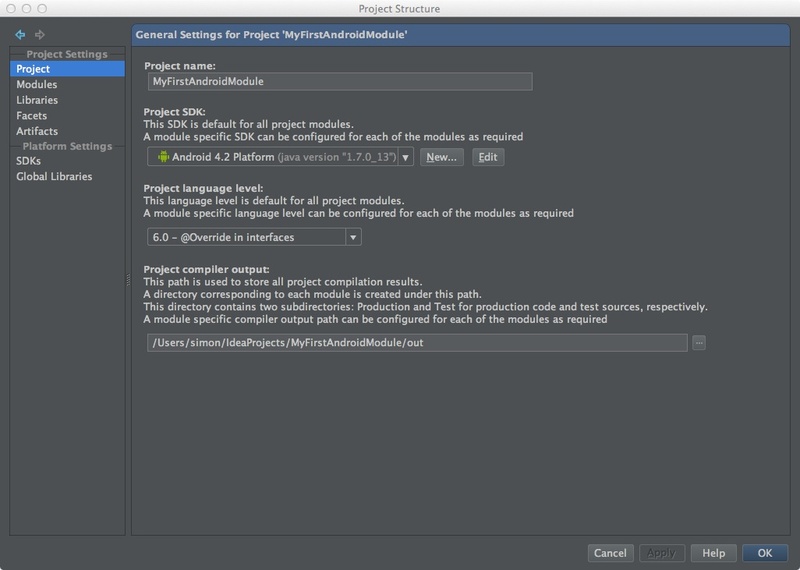 I use IntelliJ professionally and wanted to have a go at some Android development in my spare time. I've run into some problems though and I'm at a loss. 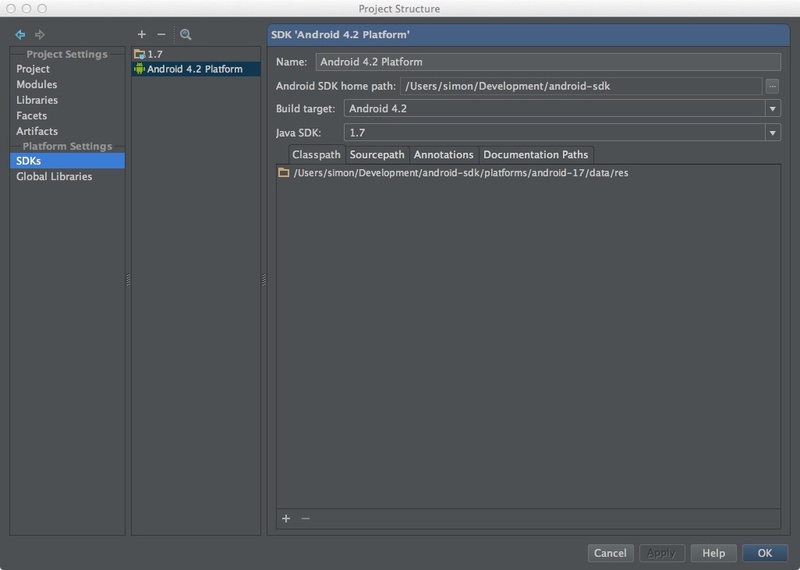 I've installed the Oracle 1.7 (u13) JDK and IntelliJ 12 CE and used the Android SDK Manager to download all the Android 4.2 stuff. 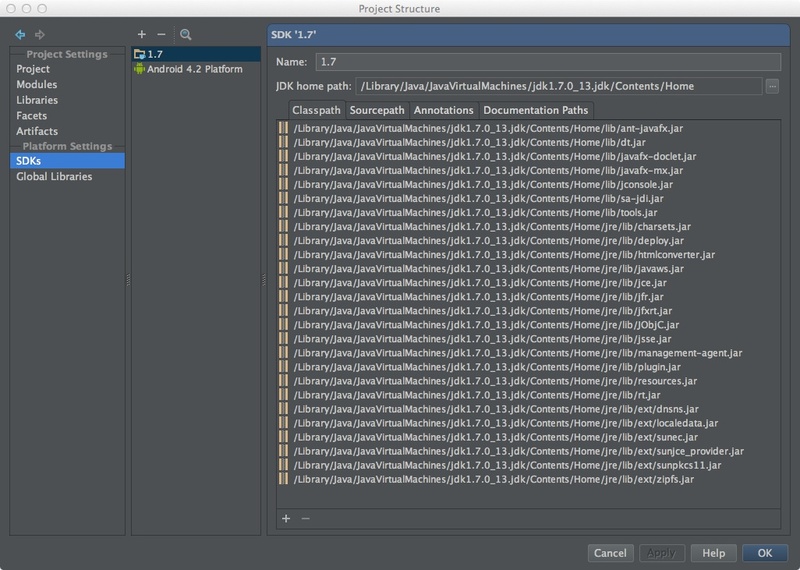 I've even worked around the problem with having to set up a Java project to get IntelliJ to pick up the JDK. java: warning: java/lang/annotation/Target.class(java/lang/annotation:Target.class): major version 51 is newer than 50, the highest major version supported by this compiler. java: warning: java/lang/annotation/ElementType.class(java/lang/annotation:ElementType.class): major version 51 is newer than 50, the highest major version supported by this compiler. java: warning: java/lang/annotation/Retention.class(java/lang/annotation:Retention.class): major version 51 is newer than 50, the highest major version supported by this compiler. java: warning: java/lang/annotation/RetentionPolicy.class(java/lang/annotation:RetentionPolicy.class): major version 51 is newer than 50, the highest major version supported by this compiler. java: warning: java/lang/Override.class(java/lang:Override.class): major version 51 is newer than 50, the highest major version supported by this compiler. java: warning: java/lang/annotation/Annotation.class(java/lang/annotation:Annotation.class): major version 51 is newer than 50, the highest major version supported by this compiler. The IDE itself doesn't seem able to resolve classes from the Android SDK (see attachment). Additionally, Although IntelliJ created the project and there's an ant build.xml, it doesn't process it into the "Ant Build" panel. If I manually add the this file to the Ant Build panel, I can use the targets in there to build the project successfully. Incidentally, I can build the project without having to edit anything using ant on the command line. 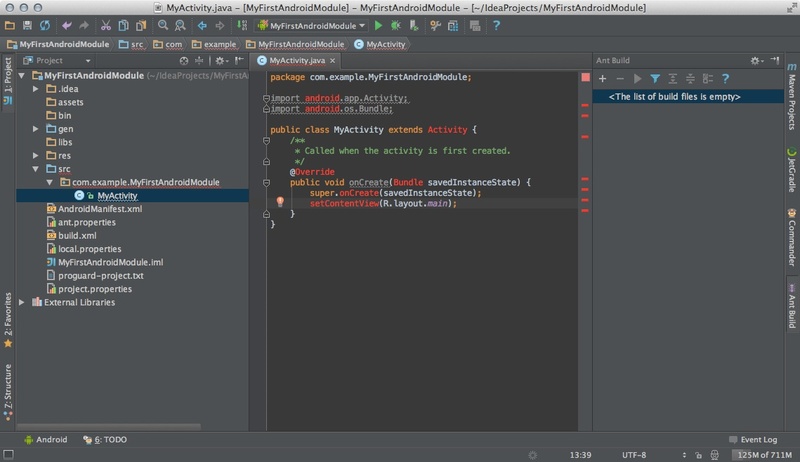 I know and like the IntelliJ IDE and would prefer to use it over the Eclipse bundled with the Android SDK. I've attached some screenshots of the project settings - are they set appropriately? I'm not sure if there are any further settings that might need to be changed? The important stuff all seems to be working now: I can build the app, "quick documentation" is working, I can see source for the APIs and debug it on my handset. I'm very much looking forward to saying goodbye to Eclipse. I've noticed is that while I can browse source for the public face of the APIs, it looks as though a lot of internal stuff in the android Java source isn't there. I don't know the SDK well enough to know whether they're there somewhere and just need to be added to the SDK setup in IntelliJ or whether you simply don't get them as part of the SDK. Time will tell. It should be possible to point IntelliJ at the base URIs of the source and documentation instead of local directories if that's anyone's preference.